When I heard the news about Vampire: The Masquerade - Bloodlines 2 coming out I got so excited I decided to revisit one of if not my favorite vampire video games. I hope you will join me in this blood thirsty cult favorite stream. I'm getting thirsty just thinking about it. How about you? Please respect others in chat and enjoy the show. Donations directly help my channel and are not expected but always helpful! Right now I'm in dire need of new case fans. Other than that have fun and lets do this! 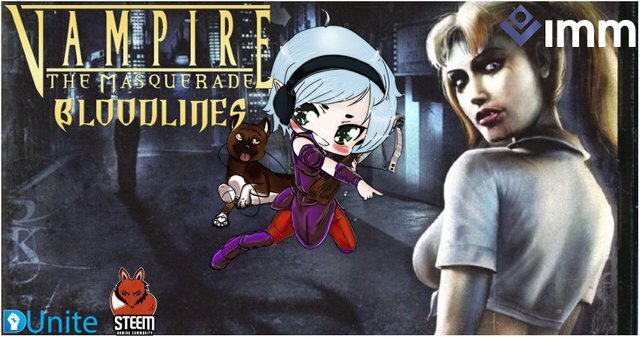 Vampire: The Masquerade-Bloodlines delivers a new type of RPG experience-one that blends all the core elements of a traditional RPG with the graphical richness, immediacy and brutal combat of a first-person action game. The game plunges players into the dark and gritty vampire underworld of modern-day L.A. as a creature of the night. Players will develop their character's powers, interact with other characters and embark on story-driven quests as they battle mortals and other vampires with an incredible array of vampire powers and weapons. Powered by Valve's Source Technology, the game is based on White Wolf's popular Vampire: The Masquerade pen-and-paper RPG series and its official clans.